Water is more than just something to use for drinking or washing. It’s inspirational, too! Since water is clear, it reflects whoever or whatever is looking into it, like a mirror does. You can use water to reflect on your thoughts and emotions. Through that process, you can become more aware of the state of your soul. Renowned water researcher Masaru Emoto, who investigates how water molecules change scientifically in response to people’s interactions with it, says that water changes people as well. 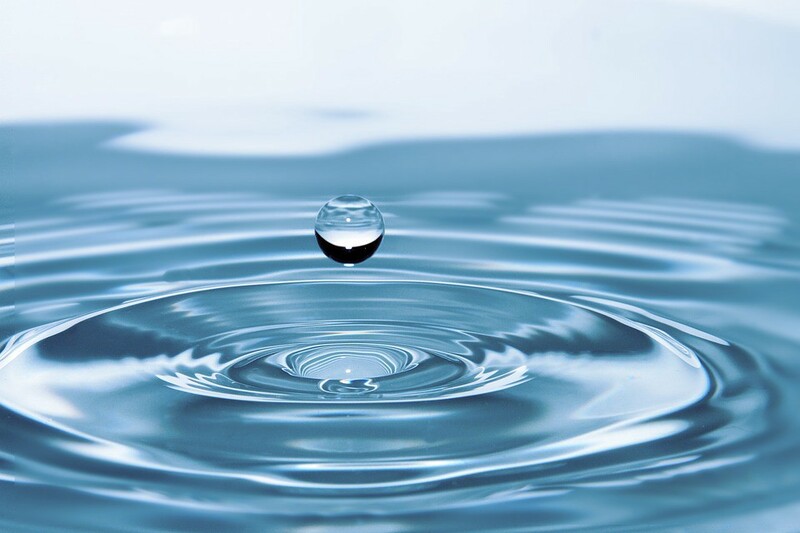 Since the human body contains a large amount of water (an average of 60 to 70 percent water for adults), the water in people’s cells resonates with the energy of the water they look at when they’re reflecting on their lives. Water is receptive to energy, with water molecules forming crystals in response to the energy vibrations that people direct toward it. Holy water that has been blessed can act as a conduit for the energy of your prayers. Water responds to prayers by changing to reflect the essence of the prayer and serve as a vehicle through which God’s energy operates to answer the prayer. Emoto’s popular research and photographs of water have shown that, incredibly, the molecules in water form crystals in response to the energy that people intentionally direct toward it. That energy begins in the form of thoughts in people’s minds and is then expressed through means such as words (both written and spoken) and music — all of which can be part of prayers. His many experiments on water samples worldwide reveal that water forms orderly, beautiful crystals when it’s exposed to positive energy (like prayer) but when exposed to negative energy (such as words of hate) water either forms chaotic, ugly crystals or fails to form any crystals at all from its living molecules. “In every case,” Emoto writes in his book The Secret Life of Water, “there was a striking difference in the crystals made from water collected before the prayer and after the prayer, and the subsequent crystals were always beautiful and glorious.” Since people have so much water in all of their cells, Emoto says, the vibrational energy of water in the human body resonates with the energy of water that people encounter. Consecrating water as holy then creates a cycle of blessing, in which people and water purify each other by exchanging positive energy! The ancient practice of scrying (gazing into water while meditating or praying for spiritual guidance) may help you discern something that can guide you to the best decision when you’re facing important choices. Scrying with water can be as simple as spending some time looking at a local body of water (like a pond or lake) or even gazing at a glass of water at home, while asking for spiritual guidance. The physical reflection of the water will help you reflect mentally and spiritually. That process can help you figure out how to make the best decisions. People often use water to purify themselves. Physically, water washes dirt off the body. Spiritually, water represents the process of God cleansing people’s souls from unhealthy attitudes and actions. When you’re bathing or taking a shower, let the water that’s helping to cleanse your body motivate you pray for some soul cleaning, as well. You can ask God for help with replacing negative attitudes (such as fear, shame, hatred, and bitterness) with positive ones (like courage, confidence, love, and joy). As water washes over you, you can also pray for help overcoming unhealthy behaviors (such as a bad habit or an addiction) and developing new, healthy habits to incorporate into your daily life. Throughout history, people have reported experiencing healing for their bodies, minds, and spirits after praying for healing with water that’s consecrated as holy. The famous water spring in Lourdes, France, has the power to act as a conduit for God’s healing work, Christians believe. The saint Bernadette Soubirous reported that she saw an apparition of the Virgin Mary there, in which Mary told her to, “Go to the spring, drink of it and wash yourself there.” Millions of spiritual pilgrims have visited Lourdes from around the world to pray near the water, drink it, and immerse their bodies in it. Many of them have reported experiencing healing as a result. The Ganges River in India is considered sacred by Hindus. They believe that people can symbolically cleanse themselves of sin and find healing from bathing in its waters. Thousands of Hindus bathe in the Ganges every day to pursue that healing. If you drink clean, minimally processed water — such as spring water — you’ll absorb the energy of it directly into your body, promoting good health in every one of your cells. Water is a wonder that can inspire you anytime and anywhere!